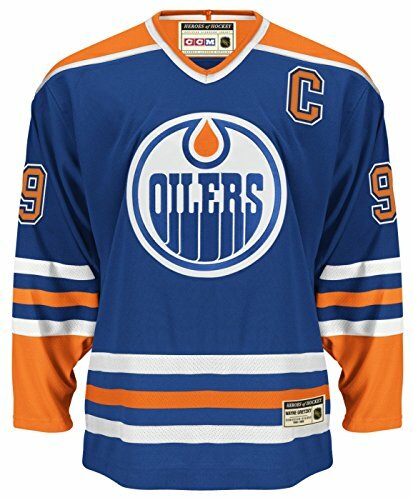 Support your Edmonton Oilers with this authentic Wayne Gretzky Heroes of Hockey jersey. This 100% polyester mesh jersey is the REAL DEAL, featuring twill and embroidered front crest and full twill name and number. -Medium - 26" / 30"
-Large - 27" / 30.5"
-XL - 29" / 31.5"
-2X - 30.5" / 32.5"